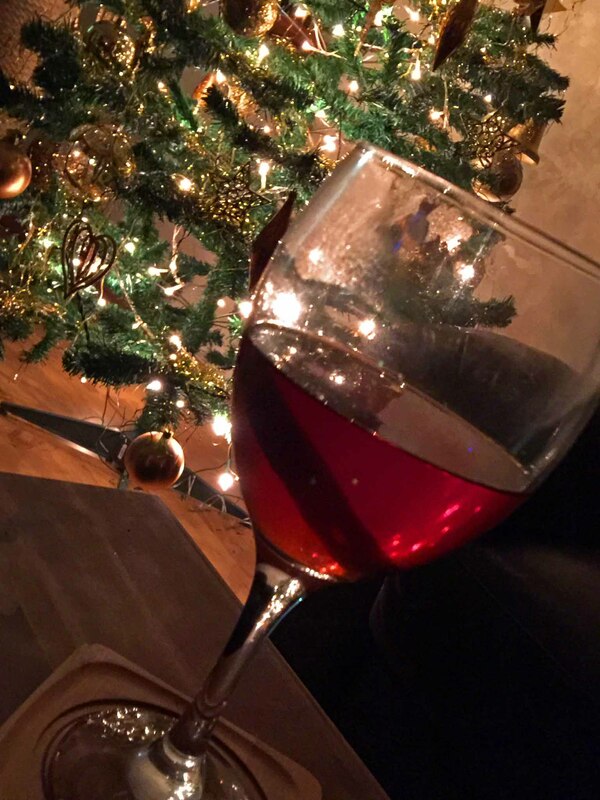 Looking through recipe books and scouring websites, there are many Mulled Wine recipes all of them purporting to be “Christmas in a glass” served on stoves next to roaring log fires in Alpine ski lodges but I have to be honest and say that I am glad to have found a cider version of this tradition of mulling drinks. Christmassy, warming and silky – this drink will kick off any evening to a festive start. Let’s be honest; mulled wine can sometimes taste a bit like cough syrup! The first mouthful can be beautiful but every sip from then on becomes one out of politeness and not necessarily enjoyment; I find that the minute it drops below a certain temperature it then actually becomes quite sickly and you’re never sure if a top up would be a good idea or not. However, mulled cider, still embodying the tradition of a Christmassy spiced, warming drink has none of the negative connotations that mulled wine brings. It still has the traditional flavours of cinnamon and clove you want at this time of year but they are the subtle backnote to a fruity and fizzy December cocktail. 1st: Make a cup of raspberry tea and allow to steep for a few minutes. 2nd: Pour the litre of cider into a saucepan and place on a low heat. Pick a decent cider – no White Lightning here! 3rd: Cut the clementines in half, some people stud the skin with the cloves. Add these to the pan. 4th: Crush the cardamom pods under the weight of your knife, and add these, the bay leaves, cinnamon stick and any other spices you wish to the pan. 5th: Pour in the fruit tea, dark rum and vanilla paste. 6th: Add a table spoon of soft dark brown sugar and allow the flavours to infuse. Serve in a glass with a rasp of nutmeg over. If at any point the clove or cinnamon become overpowering remove them from the pan. You have to control this as it really is a matter of taste. You need to give this recipe a go, especially if you don’t like mulled wine. I have tinkered with a few ingredients to suit what I had in the cupboard at the time but feel free to go with whatever spice you prefer. A dare say an apple and cinnamon tea would also be amazing but I used Red Berry Blush which works very well here. Whilst stocking up the fridge after my weekly shop I realised I had a few plums and pears at the back of the fridge that had been there for quite a while. There was also half a punnet of blackberries that were on the turn and needed using up. I didn’t want to waste any of them and throw them away, but there is only so much fruit I can buy without it turning. After giving it some thought the best and most effective way to use these up was by putting them into a cake. I went to task, peeling, coring and slicing the pears; washing the plums, removing their stone and picking out the blackberries that had the merest hint of mould on them. The cake batter was a simple sponge mixture but slightly tweaked to incorporate ground cinnamon and using plain flour instead of self raising flour. A standard sponge recipe calls for 2 eggs and some milk but as I can be quite clumsy when it comes to adding milk, I used 3 eggs instead. 1st: Cream the sugar and butter together. 2nd: Add the eggs one at a time and mix well. 3rd: Add a splosh of vanilla extract/almond essence or a dash of both! 4th: Sift in the flour, cinnamon and baking powder. Mix. 5th: Pour into a greased and lined baking tin. Assemble the fruit as you wish. 6th: Bake in a preheated oven at 180°C for 25-30mins. 7th: Sprinkle the cake with flaked almonds and demerara sugar and put back into the oven for 10mins. 8th: Allow to cool before serving. Delicious as a tea-time cake or equally rewarding with vanilla ice cream as a decadent dessert! Give this cake a go. A simple fruit sponge cake with added extras. Experiment with different fruits. If you buy out of season fruits the best way to bring out their natural sweetness is to bake them, so why not bake them in a cake? Members of the plum family are best at taking on spice. This cake would work with ground ginger, nutmeg, clove but if you want to keep it simple; cinnamon is the direction to go. Considering they were destined for the bin, the outcome was certainly a resounding success.